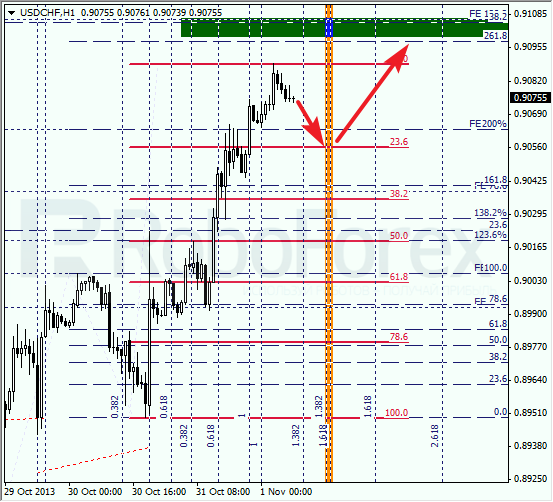 Euro wasn’t able to stay above the level of 61.8% (fibo extension) and started moving downwards. The bears have already reached the intermediate target at the level of 38.2%. We can’t exclude a possibility that during the day the market may start the local correction, Later the price is expected to continue falling down towards the level of 50%. As we can see at the H1 chart, the price is starting a correction. According to the analysis of the temporary fibo-zones, the pair may complete this correction during the day. If later the pair rebounds from the level of 23.6%, the market may continue falling down. In case of Franc, the main target is a bit closer. 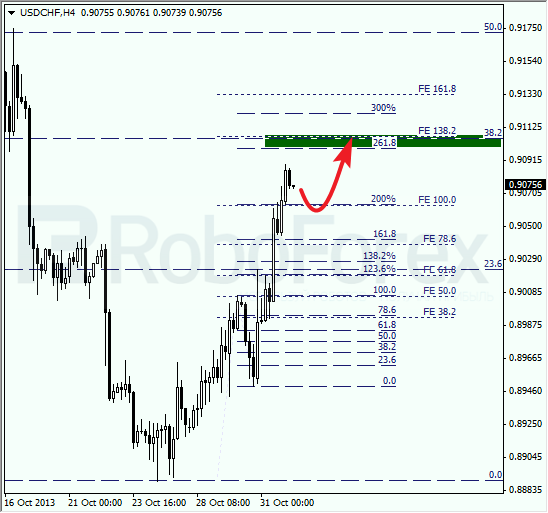 In the area of 0.91, we can see three fibo-levels, which may be a strong resistance for the bulls. Most likely, after a slight correction, the pair will continue moving towards the predicted targets. At the H1 chart, the target of the local correction is at the level of 23.6%. If the price rebounds from it, the pair will start a new ascending movement and I’ll open several buy orders.